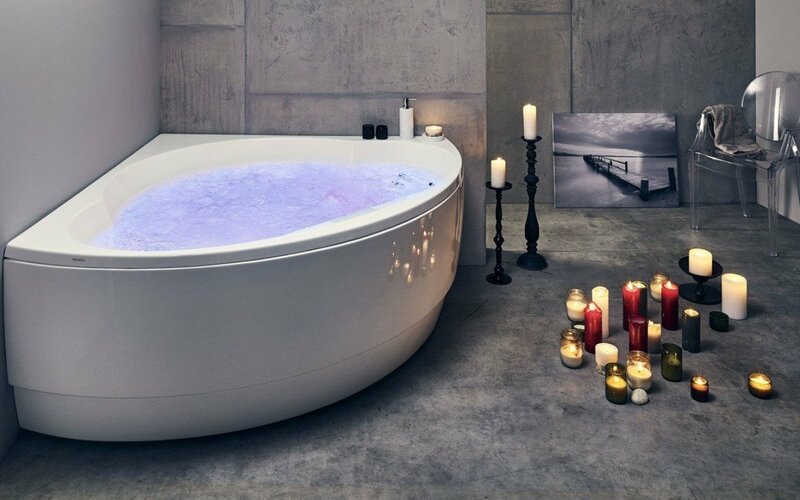 One of the key issues will be your choice of bathtub as this is usually one of the largest and most prominent features in the bathroom and often sets the trend for the whole room. So how do you go about choosing your bath? Look is key of course, but just as critical is the material from which your chosen bath is made, as there are now many options in the manufacture and a wide variance in both benefits and quality. Here, we want to talk about acrylic and how it stakes up against other materials such as cast iron, fiberglass, porcelain, and steel. We have not investigated more expensive materials such as solid stone composite, marble and similar which all make beautiful baths but are generally more expensive. The inherent properties of acrylic make it an ideal substrate for any bathroom ware. It is quite literally, a space-age material, developed as a by-product of the US space program. Since that time it has proved to be a very versatile material with successful applications in a huge range of industries from medical and health, automotive to communication, architecture, construction, interiors, and furniture. Please note from the start, we are talking quality acrylic, as, like anything, there is good and not so good quality and a lesser quality base material creates lower quality bathtubs. Aquatica works with its chosen acrylic provider Lucite®, a 75-year-old, a global company which is recognized as one of the world’s leading manufacturers of acrylic. Lucite supplies its acrylic products to customers around the world who demand the highest quality acrylic for their production and no product leaves the Lucite® factory unless it meets the company’s stringent standards. This ensures it delivers the product benefits it promises…that’s guaranteed. One of the most important reasons why Aquatica chooses acrylic for part of its range is its elastic structure which allows it to be formed and molded into the many styles and shapes of bathtub our designers develop. This flexibility a very important consideration for Aquatica as we manufacture a very comprehensive range of free-standing and drop-in baths to fit your desired décor mood. 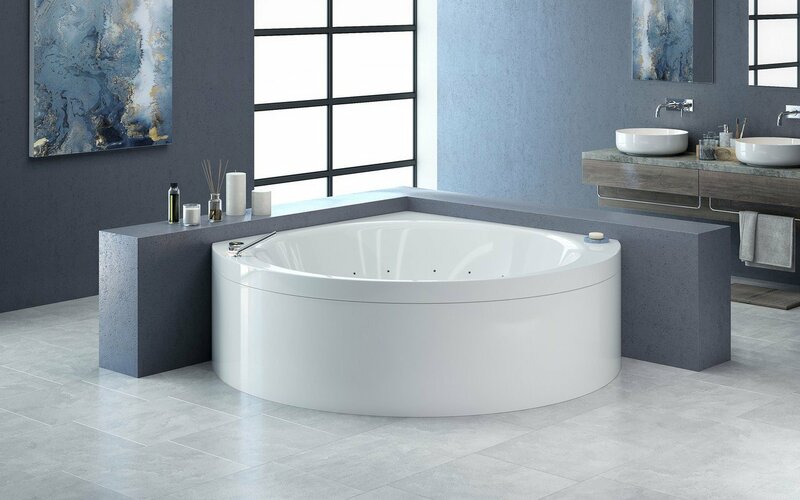 We need a product that enables us to offer all shapes - square, rectangular, circular, triangular and oval, and different sizes, so you can select the bathtub that perfectly reflects your vision. We now offer more than 15 styles of the acrylic tub from modern to classic, traditional to cutting-edge urban minimalism. Compare this to products such as porcelain and steel which are either more difficult to form or cast iron which is restrictive in its shaping properties in that it has to be cast, not bent, stretch or hammered. As a result, these types of baths do not generally offer as extensive a range of designs as the cost of creating new casts and forms is high. Take cast iron baths as an example. You will find they tend to come in only a few classic, heritage styles. The reasons why lie in the properties of acrylic. During the process of heating and vacuum forming over a mold, a continuous waterproof membrane is formed which is non-porous, silky smooth to touch, able to withstand constant use and cleaning and highly resistant to wear. In fact, Lucite® Acrylic undergoes ten-year aging tests and in line with that is guaranteed to resist abrasion. Quality acrylic, once formed, is also very stable, unlike products such as fiberglass which if not adequately supported, will flex and break. 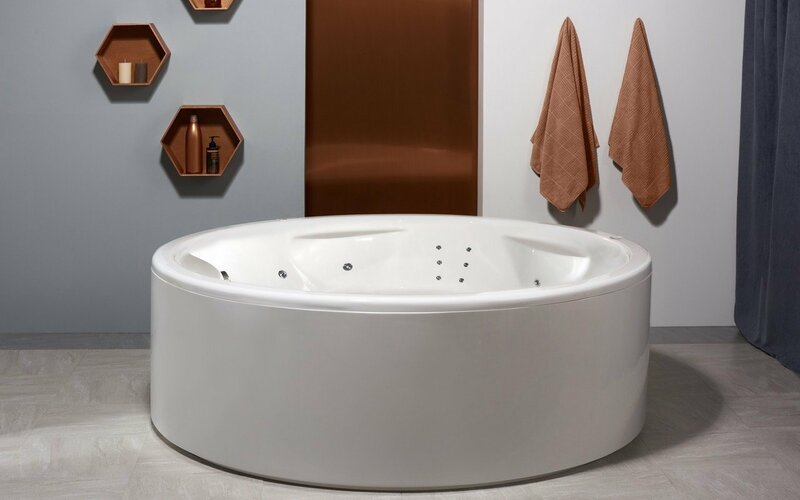 All Aquatica’s acrylic bath designs also include seven layers of construction from the sanitary grade acrylic, reinforcement layers, a thermal insulation layer, and a solid steel frame. This makes them sturdy and strong enough for a whole family of bathing, as well as offering great heat retention. Acrylic’s nonporous surface is also a big plus for hygiene – no mold, mildew, bacteria, germs or soap scum can penetrate, giving you a continuous hygienic environment that is safe and easy to clean. This durability is enhanced by the high gloss finish which Aquatica uses on all its acrylic baths – apart form several new matte models. This additional process, our AquaHygiene™ technology, is incorporated in the manufacturing process to protect even further the lustrous color and clarity of the finished bath. With regular cleaning, your bath will remain shiny and unblemished for many years. Compare that to materials such as cast iron and steel and porcelain on steel, that all use enameled finishes which require care to protect against scratching and abrasion, can chip and are very hard to repair seamlessly. Fiberglass baths also don’t score well in the hygiene and cleaning stakes as these are generally gel-coated and over time the gel wears off leaving the fibers exposed, which can harbor mildew, mold, bacteria and soap scum. Another superb characteristic of acrylic is that it is solid surface – the colors are inherent throughout the product. Pigments are added during the acrylic production and disperse evenly and homogenously right through, so they retain their brightness, gloss, and elegance for a lifetime. Lucite® Acrylic can also be provided in colors customized to our designs, so Aquatica can achieve beautiful lines of bathroom ware that are unique to our company, giving you a fashion and design edge in your bathroom. If scratches do occur on the surface these can simply be polished out. Again solid surface color compares very favorably to any kind of bath where the surface layer which is added to the substrate. These have the potential to wear down or even wear away to expose the material underneath. Surfaces such as gel coats do degrade and fade over time quite noticeably. Ultimately your decision may come down to price. In any bathroom, this should be weighed against a number of issues, such as how long you will be living with your new bathroom. It is likely you will be using it for years to come so you want it to last and retain its good looks. Rather than simply look at the price tag you need to think about but the ratio of benefits and quality to the cost. Start by creating your own checklist. 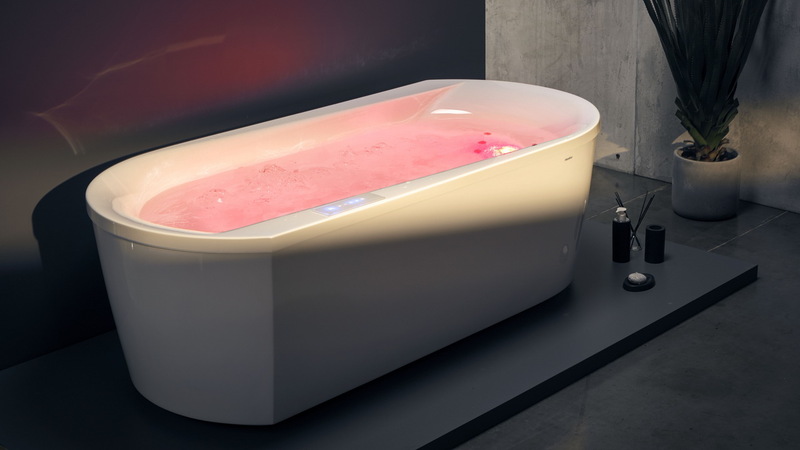 What style of bath, what color, what mood do you wish to create? 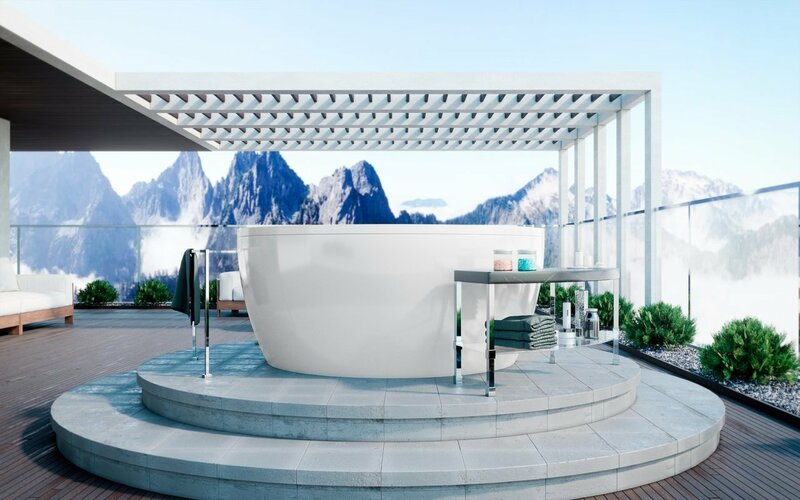 Do you want a bath that is built-in, freestanding, in the corner, even outdoors? Is it for one person or two, adults or children or both? For a guest room or your own luxurious, private bathing sanctuary? Look at the material options for bathtubs – fiberglass, steel, porcelain on steel and cast-iron. Compare the advantages of these to acrylic. Investigate the acrylic options –there are high quality and other less robust, less durable and shorter lifespan acrylic available on the market. Aquatica acrylic baths clearly have many benefits over a range of other materials because they use the highest-grade acrylic which is robust, durable, hygiene is easy to clean and looks great for years. Sure, our baths are not the cheapest acrylic bathtubs because they are made from the best raw materials, and come backed by a vast resource of knowledge and experience in bath production. Aquatica offers a beautiful selection of design styles so there’s a bath with your name on it in the range. And they all with a 10-year warranty. What more could you ask?